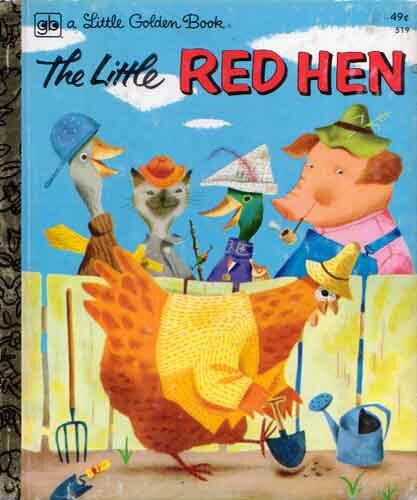 “Once there was a Little Red Hen who lived in a barnyard with her three chicks and a duck, a pig and a cat. When the wheat was tall and golden, the Little Red Hen knew it was ready to be cut. “Who will help me cut the wheat?” she asked. “Then I wll bake it myself,” said the Little Red Hen. And she did. Ya got that one right.